We’re in a toxic relationship with the fashion industry, and it’s fierce. We take bits and pieces that we love from the catwalk and parade them around the streets of our neighbourhood. But what happens when we start taking bits and pieces from people’s culture and traditional dress to jazz up our outfits? Add a bit of ignorance and you’ve got yourself cultural appropriation. Cultural appropriation is ‘the adoption of elements of one culture by members of a different cultural group, especially if the adoption is of an oppressed people’s cultural elements by members of the dominant culture.’ (Frew, 2015). It is generally associated with white people appropriating other’s cultures. The classic example is above, a white girl wearing a bindi and head dress at a music festival. ‘Marginalized groups don’t have the power to decide if they’d prefer to stick with their customs or try on the dominant culture’s traditions just for fun’ (Johnson, 2015). But watch out Vanessa Hudgens, hello Japanese teenagers where an interesting form of cultural appropriation taking place. 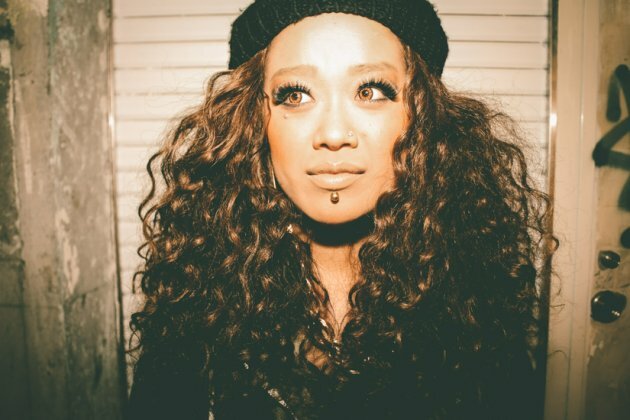 B-Style (Black lifestyle) is becoming a trend among young Japanese people who change their hair and skin to look like black rappers or singers. It involves using a sun bed to make their skin darker and spending hours and huge amounts of money on their hair. There are many obvious criticisms of B-Style. Firstly, that they’re engaging in ‘blackface’ which has strong racist history in the United States (Siddiqui, 2012). The similarities between Vanessa Hudgens and the Japanese youth is power. Or ‘post-colonial power’ (Nicklas & Lindner, 2012). The dominant or ‘normal’ culture is free to appropriate what they want, whereas the ‘minority’ or ‘marginalized group’ is left with significant cultural forms of expressions, being worn by white girls at music festivals or B-Stylers on the streets of Tokyo. Cultural appropriation is dangerous and damaging. According to Everyday Feminism contributor, Maisha Johnson, it ‘trivialises violent historical oppression, let’s privileged people profit from oppressed people’s labour and perpetuates racist stereotypes.’ It is only this year that wearing a head dress has been banned at Montreal’s Osheaga’s Arts and Music festival to show respect and solidarity. It’s a very unique and interesting position for these Japanese B-Stylers to be in. Japanese culture has been appropriated beyond belief. The above image is one of many celebrities appropriating Japanese culture. Whilst it can appear artistic or creative, the truth is ‘nothing can remove the demeaning and harmful iconography of the lotus blossom from the West’s perception of Asian women.’ (Yang, 2013) We’ve always looked to Asia through Orientalist glasses, and we want to keep the stereotype that way. The issue then of young B-Stylers adapting American black culture is complicated. B-Stylers say it is out of pure appreciation and respect. Comedian, Margaret Cho says ‘a Japanese schoolgirl uniform is kind of like blackface’ which would explain both black and Japanese culture to be offended by it’s adaptation by the other (Feeney, 2013). However it doesn’t make any of it ‘ok’ if people are still being offended. 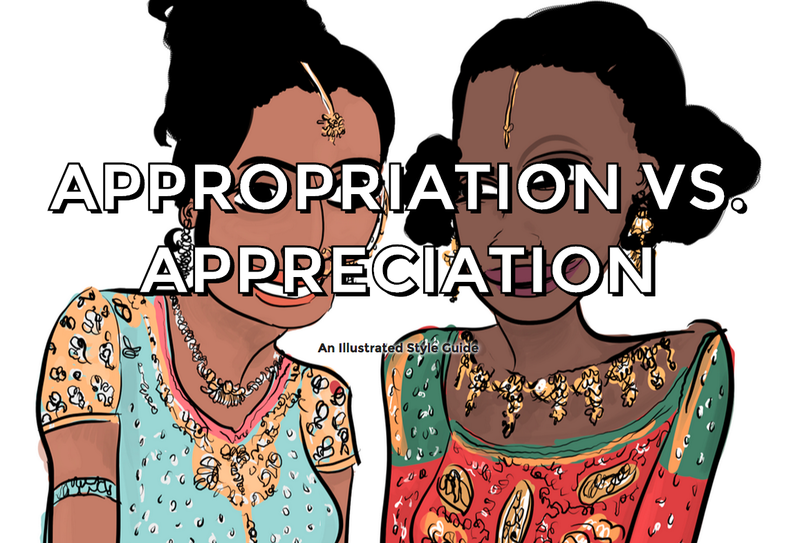 An Interrupt Mag article by Mojuicy, explore various questions you can ask yourself to ensure you are not appropriating a culture. What is my relation to this culture? By asking ourselves these questions, whilst being aware that the things we decide to wear, inspired or taken from another culture, can cause immense offense to that culture’s history and traditions. By doing this we can try to avoid tension and be more appreciative and accepting of one another.